Heart is one of the most respected bands in the music industry’s modern era. The band has performed around the world many times over the course of its four decade plus life. It has sold millions of records and has earned countless accolades for its talents and accomplishments. For all that the band has done and earned throughout its life, there is still likely a lot that it hasn’t yet done. Earlier this summer, though it knocked one item off of its to do list when it performed live at London’s famed Royal Albert Hall for the first time ever. The performance was a sold out show, exhibiting clearly the place that Heart still holds within the music community’s upper echelon. This Friday, December 2, audiences will get to own that performance for themselves on separate DVD and Blu-ray platforms as well as CD and digital platform in the form of Live at the Royal Albert Hall with the Royal Philharmonic Orchestra. Heart’s fans will find plenty to appreciate about the recording beginning with its set list. That will be discussed shortly. The band’s performance of that set list is just as important to note as the set list. The concert’s audio mix rounds out its most important elements. Each element is clearly important in its own right to the concert’s overall presentation. All things considered, it proves to be a piece that any devout Heart fan will be happy to have in his or her music library regardless of the chosen platform. 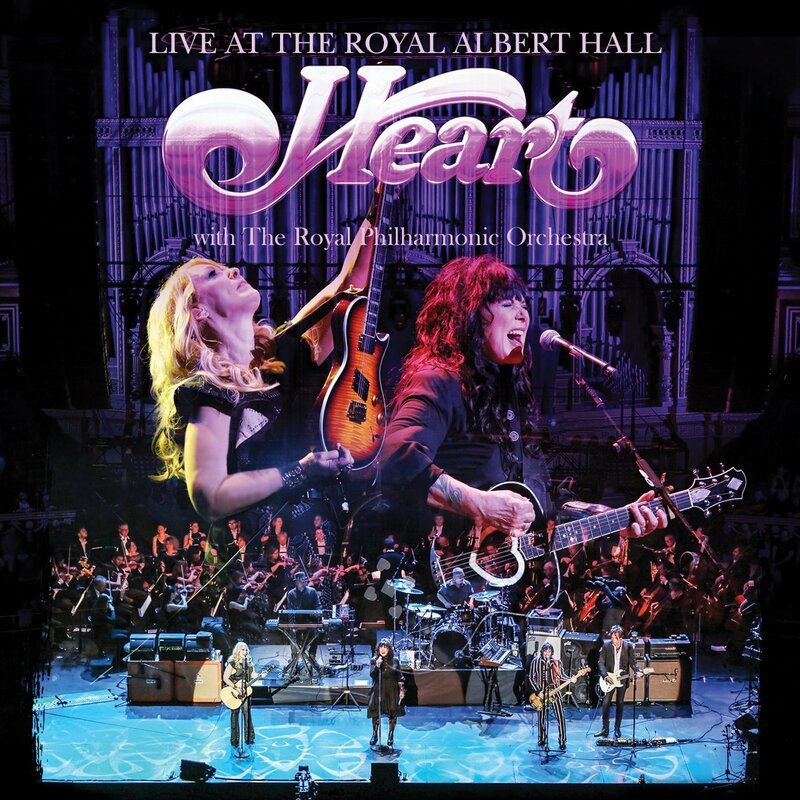 Heart’s latest live recording Live at the Royal Albert Hall with the Royal Philharmonic Orchestra is a piece that any devout Heart fan will be happy to have in his or her music library. That is due in part to the concert’s set list. The seventeen-song set list goes all the way back to the band’s 1976 debut album Dreamboat Annie and even as recent as its latest album Beautiful Broken, which was released this past July. It also includes a cover of Led Zepplin’s hit song ‘No Quarter’ in its body, and a Lovemongers cover in ‘Sand,’ which was included in Heart’s own 2010 album Red Velvet Car. Obviously there’s no way that the band could cover every one of its 16 albums so far. But it still pulls from a healthy number of its albums. The band’s 2016 album Beautiful Broken is the most heavily represented of the band’s album in this concert with four total songs represented in the set list. The band’s 1976 debut record Dreamboat Annie comes in second with three songs. The other albums featured in the concert are: Little Queen (2 songs), Bebe le Strange (2 songs), Heart (2 songs), Bad Animals (1 song) and Fanatic (1 song). Considering the band pulled from half of its current albums to make the body of this concert is impressive. It showed the band really put some thought into its set list rather than just tossing a bunch of its songs together. It wanted to give its audiences and fans the best show possible if only in terms of its set list. Of course the set list is just one of the elements that makes the show such a welcome addition to fans’ music libraries. The band’s performance of its set list will entertain audiences just as much as the show’s set list. The set list that is featured in Heart’s new live recording is by itself a key piece of the concert’s presentation. It pulls from half of the band’s extensive sixteen-album catalogue. That is including the band’s holiday album, and no there obviously are no Christmas songs in this set list since the concert was recorded this past June. The show’s set list is just one part of what makes the concert stand out for fans. The band’s performance of its set list is just as important to note as the set list itself starting with the work of guitarists Nancy Wilson and Craig Bartock. The pair expertly captures the emotion of every song with their talents. ‘I Jump’ is a prime example of that talent. The song has its heavier moments, but also has some softer moments. The attention to the song’s lyrical content makes every moment so powerful just from the pair. Its handling of the cover of ‘No Quarter’ exhibits that talent just as much. Stylistically, the song is not the best rendition of the song that has ever been crafted. But Wilson and Bartock still exhibit such talent here regardless. In the same vein, the soaring chorus of ‘These Dreams’ shows the duo fully embracing the heartfelt lyrics in that song, too. Nancy’s sister Ann shows just as much spark even as long as she has been performing. Her vocals are top-notch throughout the concert. That is exhibited most clearly as she as she soars through the choruses in ‘What About Love’ and in ‘No Quarter.’ She does a respectable job of trying to emulate Robert Plant here. It doesn’t fully reach Plant’s levels. But it is still respectable, regardless. Drummer Ben Smith and bassist Dan Rothchild shine just as much as their fellow musicians throughout the concert, too. When each musician’s talent is combined with that of his or her band mates, the whole of the collective’s performance shows clearly why the concert was sold out. That’s because every member of the band gives it his or her all, which will, again, impress any of the band’s fans. Even as important as this is to note, one can’t talk but so much about it without taking too much time. There is still at least one more item to discuss in examining this recording. That item is the recording’s audio mix. The set list featured in Heart’s new live recording and the band’s performance of that set list are both key to the recording’s presentation. Both elements will please any devout Heart fan. They are not its only key elements either. The concert’s audio mix rounds out its most important elements. The Royal Albert Hall is a massive venue. Audiences who have never seen the inside of the building until now will be blown away by its size both in terms of its diameter and its ceiling. Considering that, handling audio duties for any concert here is a chore to say the least. The people behind the boards for this concert—both at the venue and in post-production—handled that chore with the utmost expertise. It is thanks to their efforts that audiences feel like they are right there at the venue with the rest of the audience without feeling like they can’t hear any one part of the performance. The vocals and instruments are balanced with full precision throughout the performance. Again, considering the size of the venue, that is its own powerful statement. It goes without saying that the camera work gives audiences the best seat in the house. So keeping that in mind, when the camera work and audio engineering are joined with the concert’s set list and the band’s performance of the show’s set list, the whole of this concert proves to be, once again, a work that any devout Heart fan will appreciate. To keep up with the latest sports and entertainment news and reviews, go online to http://www.facebook.com/philspicks and “Like” it. Fans can always keep up with the latest sports and entertainment reviews and news in the Phil’s Picks blog at https://philspicks.wordpress.com. 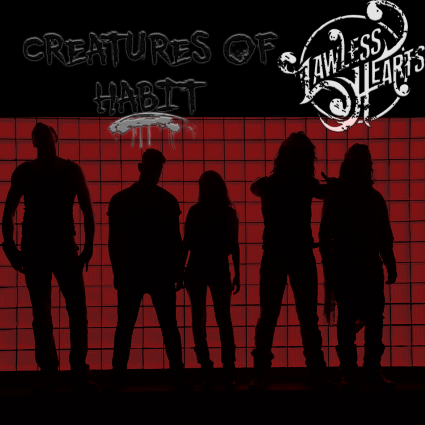 Up-and-coming rock outfit Lawless Hearts’ new EP Creatures of Habit is the first great EP of 2015. The four-track disc from the Jacksonville, FL-based five-piece is a good listen for anyone that is a fan of Heart, Joan Jett and the Blackhearts, and to a lesser extent Pat Benatar among other acts of that ilk. The similarity to those bands should come as no surprise to audiences as the band even notes Heart as one of its influences on its Facebook page. And just as fittingly the band notes in the bio on its Facebook page that its collective dream is to make something entirely its own in terms of its sound and lyrics. Listening to the songs that make up Creatures of Habit, it is safe to say that the dichotomy of the band’s old school rock sound and the songs’ lyrical content has created something entirely the band’s own. That is clear right from the record’s opening number and lead single/title track. The old school rock influence is obvious on the song’s musical side. Lyrically, it definitely has its own identity and will certainly have listeners thinking and talking. The musical bombast of ‘If I Have To’ coupled with its equally deep lyrical content shows this song to have its own identity, too. And the EP’s closer ‘Fallout’ with its seemingly Bon Jovi-influenced sound coupled with its insightful lyrics serves as one more example of how the members of Lawless Hearts have indeed created a record in Creatures of Habit that is entirely its own creation even with its old school rock influences. It is a record that though an EP bodes well for the band and its future endeavours. Lawless Hearts’ new EP Creatures of Habit only boasts four tracks. That may not seem like much. But when considering the mix of the music and lyrics that make up those four songs, it proves to be a surprisingly enjoyable record. This is evident right from the EP’s opener/title track/lead single. ‘Creatures of Habit’ boast a sound musically speaking instantly conjures thoughts of both Heart and Joan Jett and the Blackhearts thanks not only to the powerhouse vocals of front woman Alex Marie but to the work of her band mates–Michael Thomas (guitar, vocals), Justus Sutherland (rhythm guitar), Rob Joseph (bass, vocals), and Corey Ahlquist (drums)–too. Marie even sounds slightly like Joan Jett as she sings, “Creatures of habit/Liars and savages/Hoping for one more drink from the well/A city for the dead/A silent tomb of regret/Try waking up but the nightmare never ends/It ever ends.” Those first two lines in which she sings, “Creatures of habit/Liars and savages” is a rather damning statement. It appears to be a short, yet rather sharp statement in regards to the nature of people. This is made even more clear as she sings in the song’s second verse, “Dirty little savage/Masochist at best/Looking for one more night to derail/Your time is wearing thin/Better hold before you lose your grip/There’s no one to hear you scream when you slip.” Marie comes across as singing about someone that is on a self-destructive path and who is about to reach a breaking point with no one to help if said subject continues on that same path. It is a powerful statement, especially if it is indeed the correct interpretation. Considering that Marie sings in the song’s bridge, “You’re covered in dirt/From the hole you dug yourself in/An early grave for the ones who deserve it,” it would seem that this is in fact the correct interpretation. It’s almost a warning of sorts. Taking into account the song’s driving musical side alongside with these words, it is no wonder that it was chosen to lead off the band’s new EP. Audiences can check out the brand new video for ‘Creatures of Habit’ online now via the band’s Facebook page at http://www.facebook.com/LawlessHeartsMusic. ‘Creatures of Habit’ is a solid opener for Lawless Hearts’ new EP. It is also proof that the band has indeed succeeded in creating something influenced by other bands yet still holds its own identity. It does so quite well at that. It is just one of the tracks on this EP that proves that, too. The EP’s second track, ‘If I Have To’ strengthens that argument even more. It could be just this critic’s interpretation (again) but this song shows something of a Bon Jovi influence. It is so easy to close one’s eyes while listening to this song and see it being performed live. For that matter, the song’s overall makeup makes it easy to see it complemented with a video that matches its bombastic sound; big stage setup, sweeping pans across the stage that capture the entire band, the audience singing along, etc. It doesn’t seem like such a stretch. That is especially the case considering the song’s lyrical content. The song’s lyrical make-up Marie starts out by singing in the song’s opening verse, “I, I’ve been shot down/Fully defeated/A bullet to my chest/Holding my breath/Running on empty/Fear is nothing compared to this.” Obviously she is speaking metaphorically when noting the “bullet to the chest.” As a matter of fact, the entire verse is written in metaphor. She is saying that she has been through the worst that can be thrown at her. Because of that, fear has nothing on what she has endured. Despite having gone through so much, she goes on to note that she has not been defeated, singing, “I’m not afraid to die to save a life if I have to/I’ll walk the line of fire/Prepared to fight/With or without you.” She finishes her statement of firm defiance singing in the final lines, “I am awake/Fully determined/Nothing will be the same.” Such lyrics come across as being rather positive. It is almost as if Marie is singing out proudly that she will not let anything stop her no matter what. Considering this as the possibly intended aim of the lyrics, it makes the song that much more enjoyable. It proves the song to be yet another original work despite its classic rock roots. And together with the EP’s opener, proves once more why this record is the first great EP of 2015. Both of the first two tracks taken from Creatures of Habit are solid examples of what makes the record the first great EP of 2015. Both songs display classic rock roots yet original lyrics. The combination of both elements gives both songs their own identity and in turn makes the record in whole that much more enjoyable. The disc’s closer ‘The Fallout’ on the other hand, is the polar opposite of those songs. It boasts more of a modern rock sound with only the slightest hint of old school rock influence, musically speaking. The slow build that starts with just Marie and an acoustic guitar is about the only hint at that classic rock influence. It conjures thoughts Bon Jovi, Poison, and others. From there though, the classic rock influence disappears very quickly as the song leads into a much heavier sound. On the song’s lyrical side, it almost seems to bring the record full circle, echoing the topic of human nature presented in the record’s opener. It just presents it in a different avenue. Instead of making a seeming statement about the rather negative side of human nature, this song comes across as discussing people’s refusal to face the music of life so to speak. She sings in the song’s opening verse, “There’s more than two sides to every story/The pain and loss is never-ending/You wanna break down/You wanna scream out as they take, and take, and take everything/What is fair anymore/We go through life always trying to even up a score/You say the truth will set you free/We’re all so damn scared of honesty/But it all comes with a price in the end.” On the one side, Marie presents someone that is miserable, almost shaking his or her fist at the heavens. On the other is someone that wastes their life away holding grudges and trying to point the finger. That person is reminded that doing so comes at a price. In both cases, the individual ends up doing nothing but separating himself or herself from everyone else albeit in different ways. As Marie sings in the bridge, “You say none of it matters/You don’t want to deal with the fallout/You burn bridges/You build castles/To keep everyone out.” It is a statement that whether preaching and pointing that finger or shaking one’s fist at the heavens, doing so is counterproductive. People that do this are doing nothing but wasting their lives away, separating themselves from others. She goes on to warn those people that considering the direction this world is going, wasting their lives away in such fashion simply isn’t worth it. How many mainstream bands can say that they have songs that present such lyrical content? In an age when so much music is still dominated by themes of self-loathing and loathing of the world, this song comes across as a breath of fresh air. And being such a breath of fresh air, it proves even more why Creatures of Habit is the first great EP of 2015. Sweden has for many years been considered one of the music world’s most well-known nations. It has been called home by some of metal’s most aggressive names including: In Flames, At The Gates, Soilwork, Evergrey, and a number of other big name acts. However in recent years, it seems that the tide has shifted somewhat, bringing other lesser known acts to the fore. At one point some years ago, The Hives brought out Sweden’s more mainstream side. The Flower Kings have represented the progressive rock world. And this year alone, both Freak Kitchen and The Dagger have proven that Sweden offers more to the rock world than just death metal, black metal, and aggressive metal in general (I.E. At The Gates, Arch Enemy, Soilwork, In Flames, etc.) Now another band has added its name to that growing list of bands proving Sweden has plenty to offer audiences. That band goes by the name of Spiders. Spiders will release its second full-length studio effort tomorrow. The album, titled Shake Electric, is even more ammunition in the argument that rock and roll is not dead nor will it be on its death bed anytime soon, despite what one Gene Simmons might like to believe. The album’s ten total tracks will transport listeners back to rock’s golden era. Vocalist Ann-Sofie Hoyles sounds like Janis Joplin at some points. At others she sounds like a cross between Pat Benatar and Joan Jett. And at a wholly other point, one could argue she sounds like Heart’s Ann Wilson. The talents of Hoyles’ band mates–John Hoyles (guitar), Olle Griphammar (bass), and Ricard Harryson (drums)–add even more enjoyment to the songs on this record. The end result is a work that every rock and roll purist should hear at least once. Spiders’ new sophomore album Shake Electric is, much like The Dagger’s new self-titled Century Media debut, a record that every rock and roll purist should hear at least once. the album takes listeners on a musical trip back to rock’s golden age. It all begins with the album’s opener ‘Mad Dog.’ Its old school stoner/garage rock sound coupled with Ann Sofie-Hoye’s vocals make it the perfect first impression for the band on this record. The song opens with a bombastic attack from Hoyles’ band mates before she comes in singing, “I hear you barking at my door/See you crawlin’ on the floor/I know you don’t mind/But I know your kind/The way you scream/The way you howl.” the term bad dog is obviously a metaphor for a really bad man. That becomes especially obvious as the song progresses. Even with this knowledge, the song still proves to be a great addition to this record. The power in Hoyles’ delivery coupled with the talents of her band mates in this bluesy rocker will have every rock purist jamming along both by themselves and along with other fans at the band’s live shows. Being such a solid song both on record and for a live setting proves even more why this song is one of so many great additions to this album. The members of Spider made exactly the right call when they opted to open Shake Electric with ‘Mad Dog.’ the song’s bluesy rock sound coupled with Hoyles’ vocals instantly take listeners back in time to rock and roll’s golden era. Unlike so many other bands’ albums past and present, the enjoyment doesn’t end for audiences after this track. Rather, the band keeps the energy flowing and listeners *ahem* shaking and singing along from start to finish. One prime example of the band’s ability to maintain that energy comes in the form of ‘Control.’ The band’s members launch right out of the gate on this full-forward rocker with Hoyles’ exhibiting her Joan Jett/Pat Benatar-style vocals. [John] Hoyles and drummer Ricard Harryson provide most of the driving force behind this song with bassist Olle Griphammar holding his own, too. Musically speaking, there’s almost a sort of Led Zeppelin-style sound to the song. The energy in Hoyles’ voice as she seems to sing about a woman that drives men crazy adds even more depth to the song. She sings of a man “calling out her name/think I need control…here I go again/Boom, boom, boom, boom, boom.” That could very well be the wrong interpretation. It is merely the interpretation of this critic. As always, apologies are in order if it is indeed the wrong iterpretation. That aside, the song’s energy and its sheer power make it another leg of a wonderful musical trip back in time. Both ‘Mad Dog’ and ‘Control’ serve as great examples of what makes Shake Electric one of the bestnew pure rock and roll records to be released this year. As if those songs aren’t enough, the band’s obviously Heart-inspired ‘Bleeding Heart’ will definitely have audiences taking note. That is because if audiences didn’t know any better, they would think that they were in fact hearing Heart in this song. [Ann] Hoyles sounds almost identical to Ann Wilson. Is it a coincedence that both women bear the name Ann? Probably. But it’s still fun to consider the possibility especically since Hoyles sounds so much like Wilson here. The song in whole even sounds musically like Heart’s ‘Hit Me With Your Best Shot’ thanks to John Hoyles’ guitar line here. 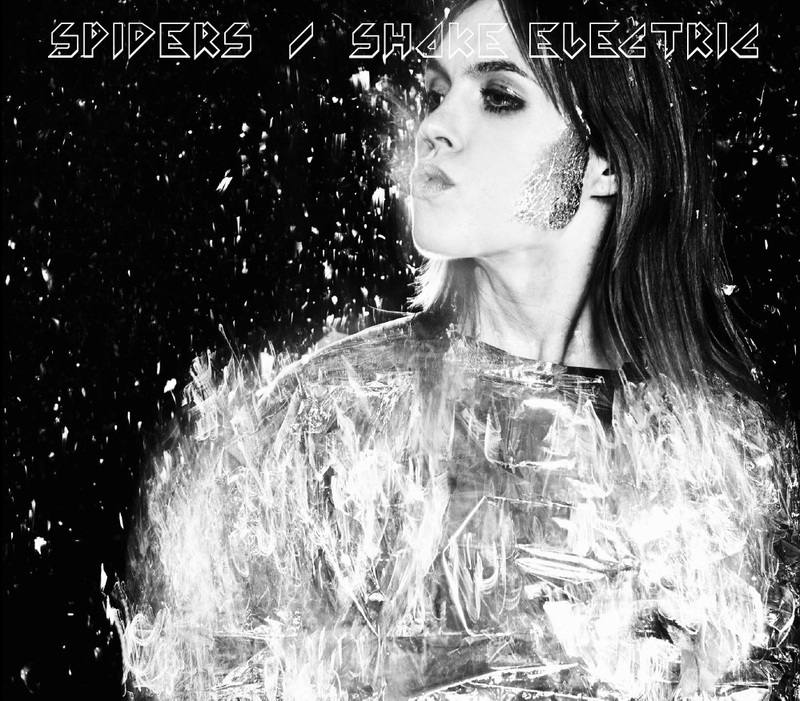 Paying such homage to one of rock’s great names whether intentionally or not, it is one more part of the whole that makes Shake Electric a great new release from Spiders. Together with the likes of ‘Mad Dog,’ ‘Control,’ and the remaining seven songs not noted here, the album in whole proves once again to be one that every rock and roll purist whould hear at least once before the year is out.